Acqua Di Parma Gelsomino Nobile Perfume is a tribute to this king of flowers in this Italian gardens, the Calabrian Jasmine. 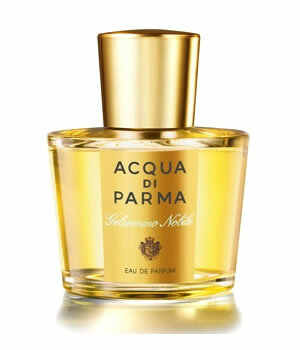 Acqua Di Parma Gelsomino Nobile Perfume is a creation of the highest quality that opens with sparkling Italian mandarin and pink pepper. The enveloping fragrance of tuberose leads to the richness of the heart, where Calabrian Jamine and orange blossom intertwine to give a unique personality to the fragrance. This refined blend closes with the precious notes of cedar wood and musk to create a unique and beautiful fragrance, with an individual savoir vivre!